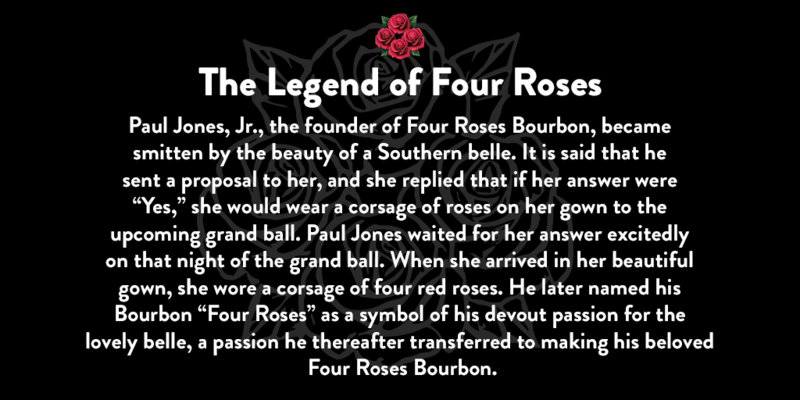 Legend has it, Four Roses Bourbon began with a love story. In honor of Valentine’s Day, we want to know your love story. Leave a comment on our Facebook post with your own legendary love story, in 100 words or less, for a chance to win an unforgettable romantic (Bourbon-filled) getaway. The contest will run through February 14, 2016. Winner will be contacted on February 19. – Complimentary VIP visit for two to both the Four Roses Distillery, and Four Roses Warehouse and Bottling Facility.